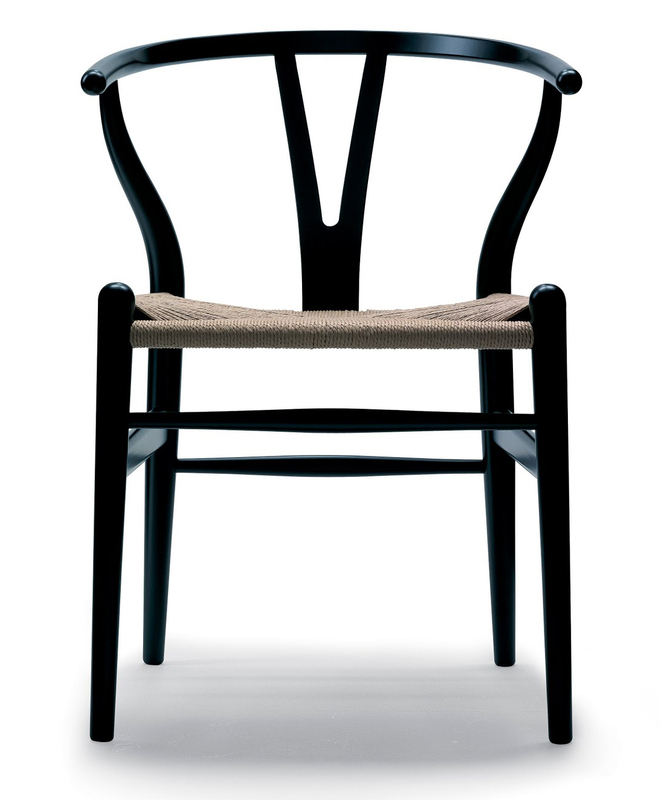 Hans Wegner Wishbone Chair: a timeless modern dining chair, a Scandinavian classic. 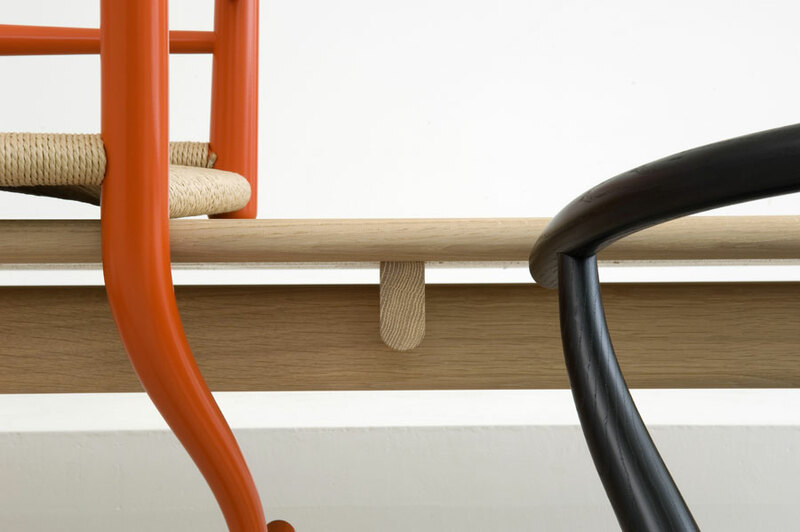 The CH-24 Wishbone Chair, or "Y-chair" as it is sometimes called due to the shape of its back, was designed in 1949 and was the first created by Hans Wegner for Carl Hansen & Son. Light in weight, especially for an arm chair, and relatively compact in size the Wishbone Chair still offers a spacious and welcoming seat that allows the user to easily change position making it perfect for conversations around the dining table. The curved back legs give it an air of grace while the stylish semicircular top rail offers support to the back and adds to the elegance of the chair.